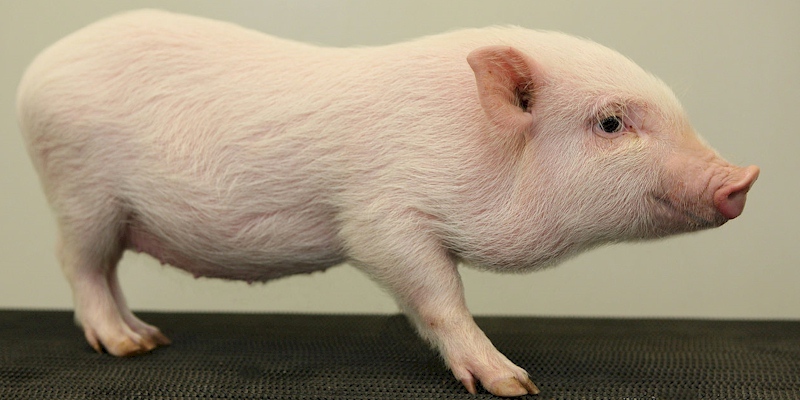 Gottingen Minipig (also known as the Gottinger or Goettingen Minipig) are a breed of miniature swine developed specifically for use in biomedical research. They arernbest known for their exceptionally small size and their very clean andrnwell-characterized health status. Their development began in the late 1960s atrnthe Institute of Animal Breeding and Genetics at the University of Gottingen, Germany, by crossbreeding Minnesota minipigs, the Vietnamese Potbelly Pigs, and German Landrace pigs. Today they are is bred at four separate locations globally and are used in life-saving biomedical research all over the world.